A Nigerian Comedian by the name Omini The Great has taken to Instagram to compare popular OAP, Toke Makinwa Facial look with that of Late Micheal Jackson. 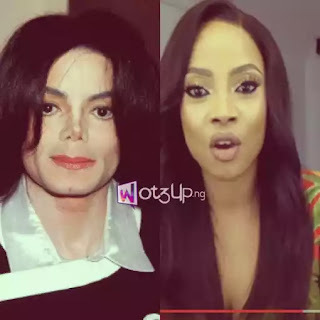 In a video he uploaded to the social network, he asked to know why Toke Makinwa is now looking like the last days of Michael Jackson. 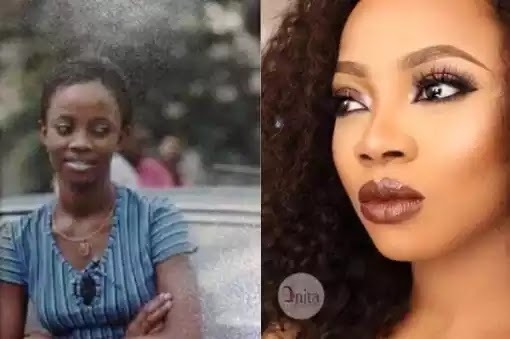 Recall that a picture of a dark looking Toke Makinwa surfaced on the internet which made many speculate that she probably bleached her skin to become the light-skinned person we know today. With the Comedian’s comparison of the OAP with Michael Jackson, it is probably obvious that he is referring to skin bleaching.